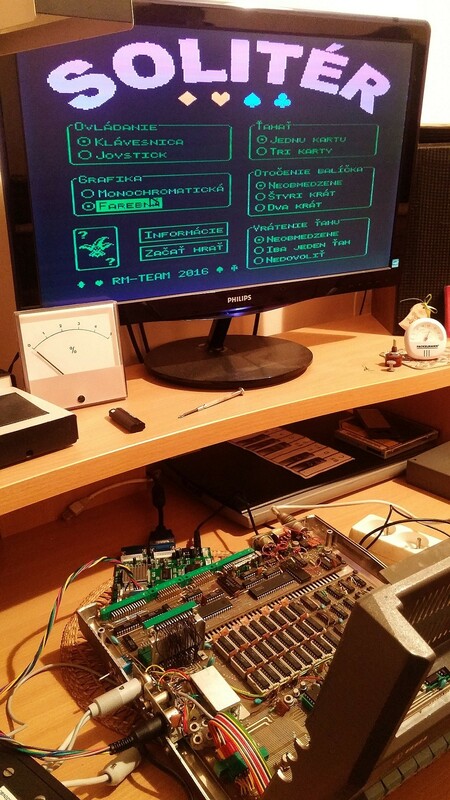 TESLA PMD 85 8-bit computer – BOGIN, JR. 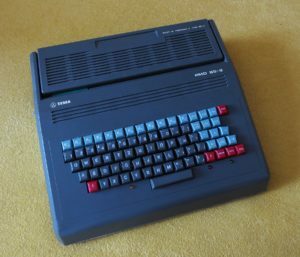 The PMD 85 was a series of 8-bit “microcomputers” conceived in the Slovak town of Piešťany, in what was then Czechoslovakia, by Roman Kišš and his team in the early eighties. Unlike in the West, these were not marketed as “home” computers, nor were they sold in retail, since their initial price – when introduced – was akin to a car; plus the demand for them being enormous, while the supply lacked extensively. Thus, these devices were mainly deployed to secondary schools and academic institutions as teaching tools, computer enthusiast’s clubs (e.g. branches of the Zväzarm) and also to small factories, to speed up non-complex computation or to help with bookkeeping. 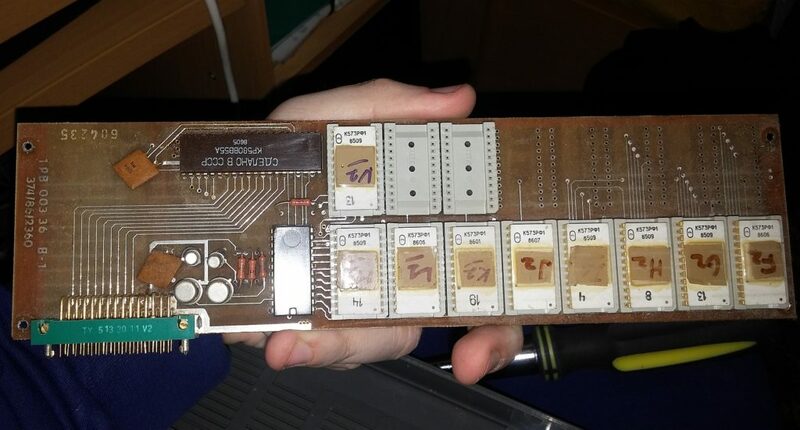 The abbreviation “PMD” stands for Piešťanský Mikropočítač Displejový, roughly translated to “Microcomputer of Piešťany with Display”, with 85 being the reference to the Hewlett Packard 85, which was – as Kišš mentioned in his numerous interviews – the machine that he ran in his lab in TESLA, and ultimately the one that he got his inspiration from. 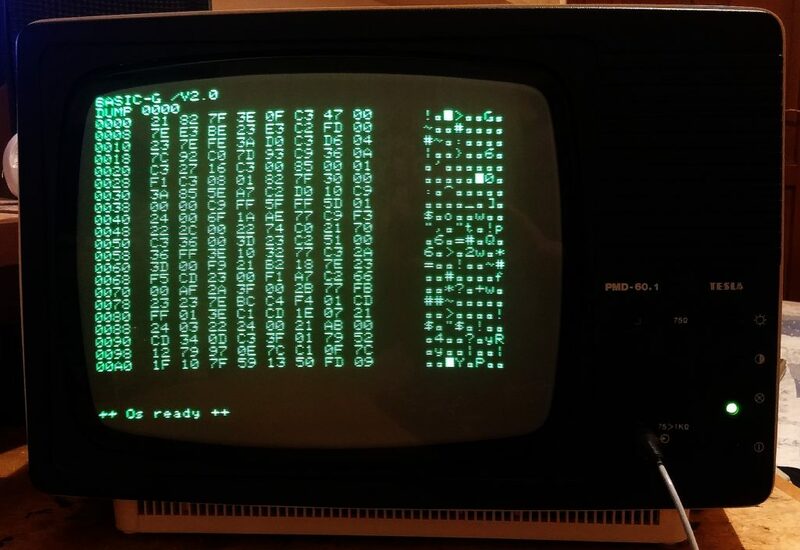 “Display” was a misnomer here – meant in that sense, that it could actually render video output on a physical screen – because Kišš’s predecessor 8080-based machines, like the PMI-80, couldn’t offer such luxury and relied on display circuits from discarded calculators instead. 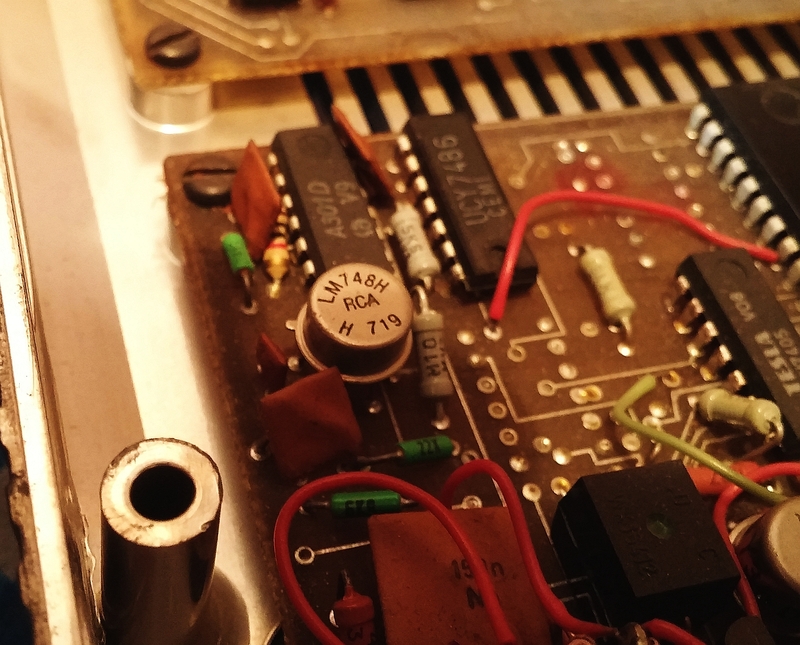 According to Kišš, even the PMD 85 was made from scrap, as means to reuse out-of-spec EPROMs, DRAM chips and whatnot (which would have been used for military purposes instead). 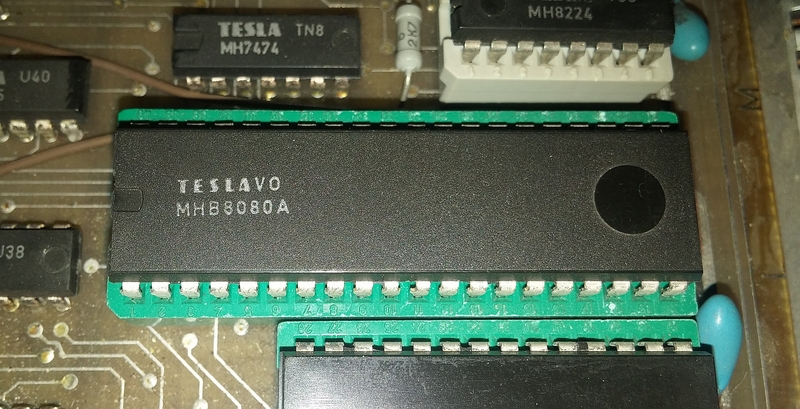 The series were based on a counterfeit version of the Intel 8080 (think: Reagan embargo), which – in this case – was the locally produced Tesla MHB8080A chip, clocked at 2.048 MHz. The very first ones in full-scale production were made in Piešťany under the PMD 85-1 designation, which employed “RWM” /DRAM/ chips from the mighty U.S.S.R… read: heating elements. They were unreliable, drew considerable current from the PSU, which – in turn – caused major overheating problems. It was no wonder these first series were mocked as “coffee machines”. Not to mention the rock hard keyboard sets, made from discarded phone keypads. Aside from that, the machine (initially) provided 48 kilobytes of RAM and 4 kilobytes of ROM, in which the “MONITOR” faux-operating system resided in. Loading of external ROM plug-in modules was supported, too – you could load in BASIC, PASCAL, KAREL, an EPROM flasher or your own embedded software, you name it. And then there we have the second revision – the PMD 85-2 and 2A, made in Bratislava starting in 1986, which is the one I have at hand. Changes include improved tape I/O reading (the original revision used a hardware phase shifter, which was unreliable with certain tape decks), a more ergonomic keyboard with software autorepeat, instead of the rock-hard one found previously… however, at the expense of reliability; then, much lower current draw (different RAM chips) and a rewritten “MONITOR” firmware, which also introduced new backward compatibility issues. 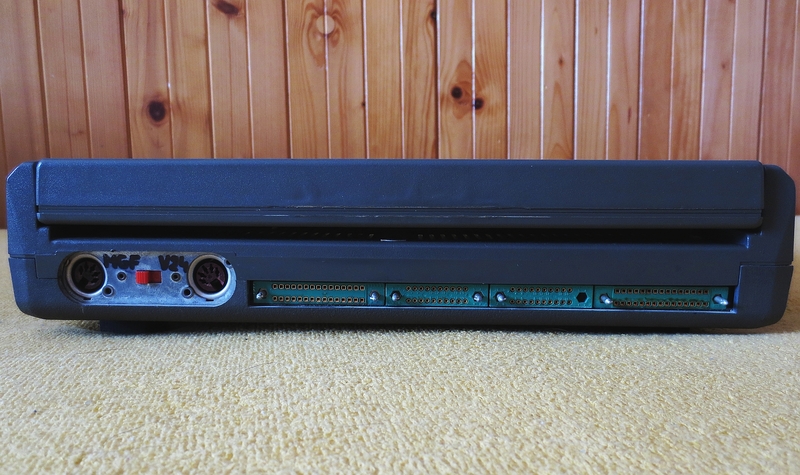 The final revision of these computers was the PMD 85-3 series, introduced in 1988, which finally had the color output issue fixed /of course, too late by then/, with an improved RF modulator now adhering to the PAL TV norm; RAM increased to 64 kB (with a mandatory scan on boot-up, similar to POST on the PC), whilst the ROM “MONITOR” expanded from 4 to 8 kilobytes. 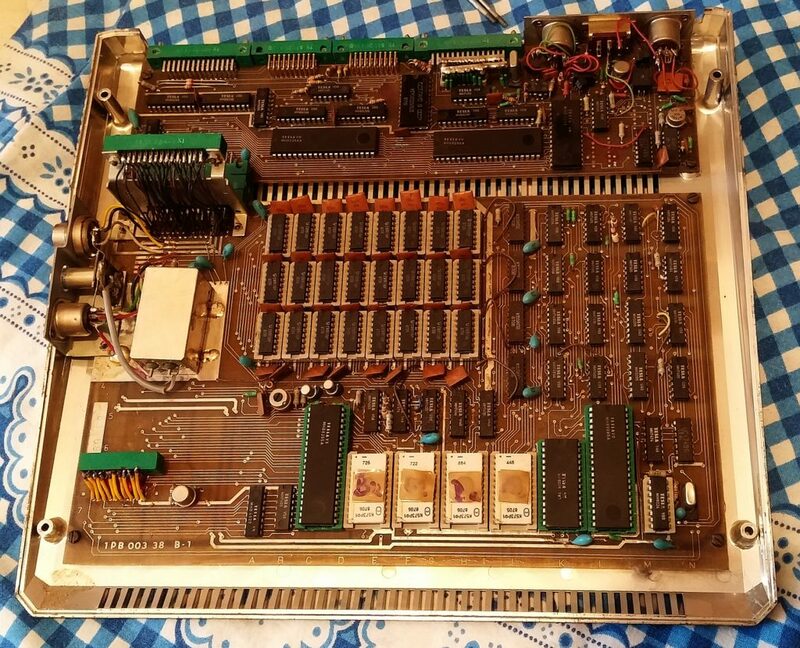 The machine could also boot a CP/M clone “MIKROS” from a floppy drive connected to one of the parallel GPIOs and supported a custom networking stack, which is ultra rare to get a hold on nowadays. Additional peripherals included, for instance, dot matrix printers (such as the BT-100), plotter support, a high speed tape interface (KZD-1), EPROM flasher plug-in module (the PMD 40), LAN network stack (PMD 70), one or two floppy drive modules (such as the PMD 32, which were actual “microcomputers” by themselves, containing the very same “MHB8080A” and supporting ICs), joysticks (4004/482) and others. not-so-much conductive foam directly on the PCB, like chiclets on TV remotes, just contaminated with dust and the conductive rubber falling apart. Dismantling these was a nightmare: the plastic holders were thermally molded into holes on the PCB, so a soldering iron was used to get them out, and then glue was the only way to put them back in their place… Hoping that it wouldn’t seep up to the freshly cleaned pieces of conductive foam, or just permanently sticking them shut, rendering all the tedious work useless. 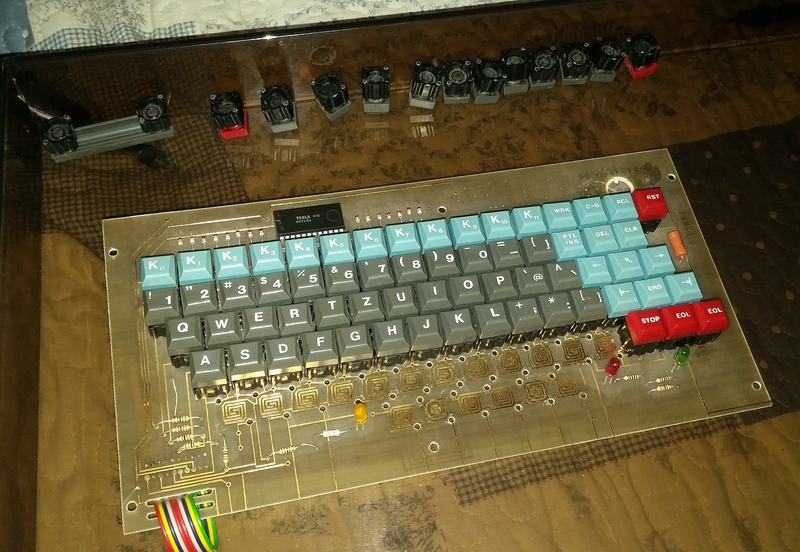 Of course, that didn’t help much: it did restore life to a handful of keys previously non-functional, but the keyboard was still largely unusable – I should have just glued thin pieces of tinfoil or other conductive strips under the chiclets. As a result, instead of the conductive pads, I’ve opted in to repair the keyboard with microswitches. The keys got a little bit wobbly, as mot cheap microswitches are not manufactured to exact tolerances, but now it’s much better to have managed to get the thing operating again. 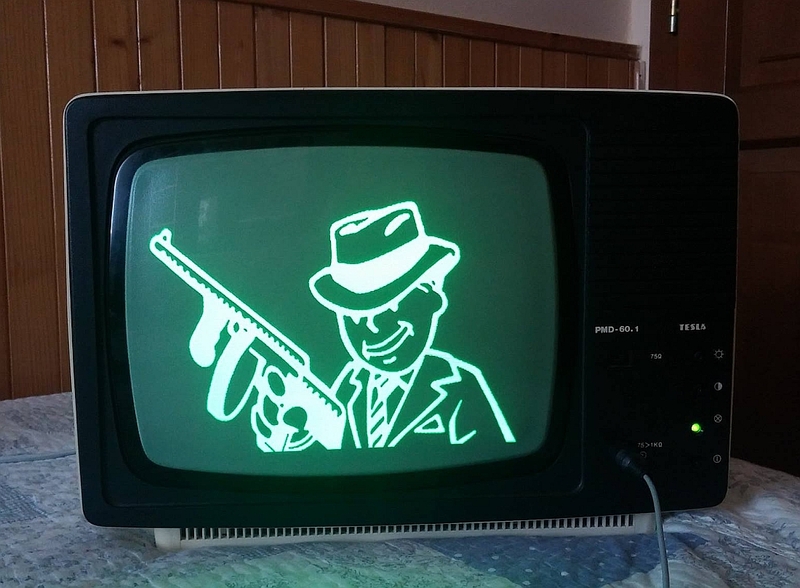 The next hack involved the use of the “IRPS” (optocoupler, current loop driven) serial interface, to make the PMD 85 talk with a computer equipped with a serial port. I’ve modified the PMD 85 internal circuitry to include a level shifter, bringing the voltages conformant to the RS-232 standard. Here, a logic 1 is -5 volts and a logic 0 is +5 volts; both voltages are easily obtainable from the circuit (the PMD requires ± 5 volts and +12V to operate). Anything between 3 to -3 volts is an undefined state here. The result was a success: I could establish a both-way connection between the PMD and a Win9x HyperTerminal on 4800 bps, 8 data bits and no stop bits; sadly, without handshaking, since there’s no support for it in the PMD. Because of this, I needed to be careful when sending data back to the PMD, to slow down the data transfer if it resulted in screen scroll. Since there is also no dedicated videoprocessor on the mainboard of the PMD, this led to bytes lost on full speed transfer with text scrolling down. 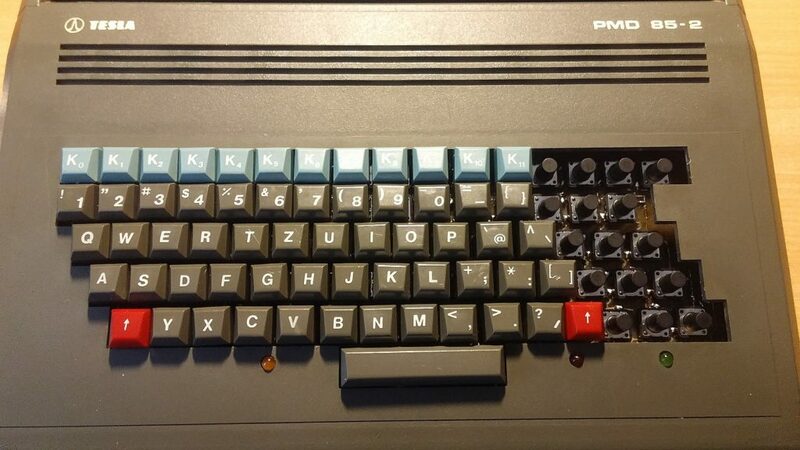 On the PMD 85-2A, the terminal mode is activated by getting out of the BASIC/G, right into the “MONITOR” shell, followed by a Shift+C-D keypress. 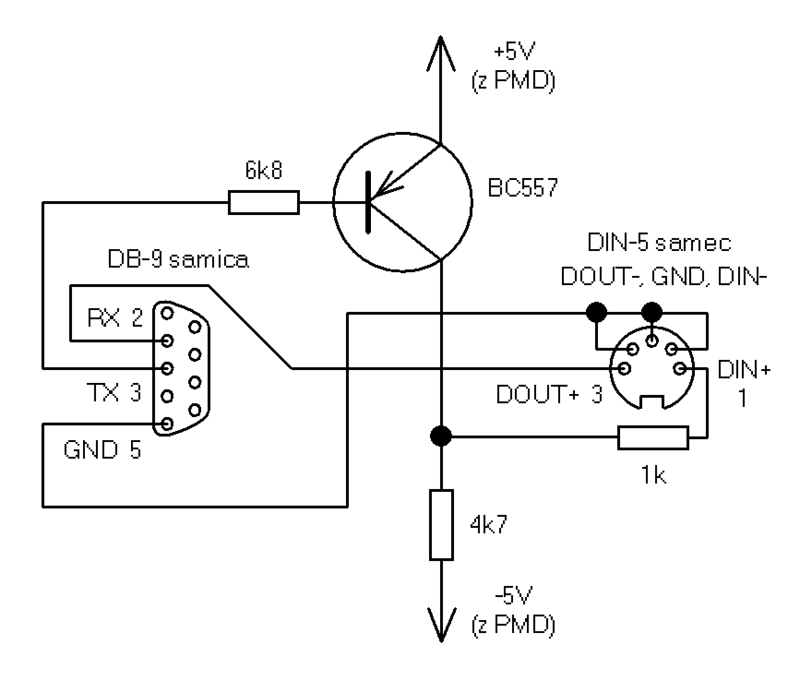 A hack for the PMD 85 to support an RS-232 connection. Next thing was to enable the factory-broken color output. 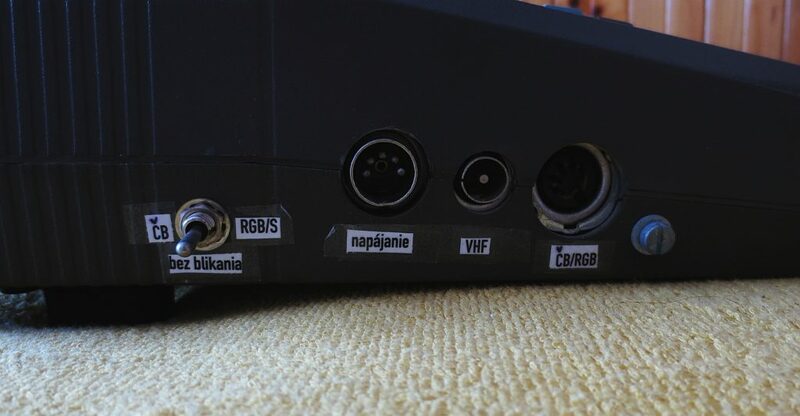 This was possible by bringing down the RGB signals from TTL down to analog levels, so that the video output could be safely connected to a VGA upscaler, e.g. the Gonbes GBS-8220 or similar. Then, the “blink” font attribute would be disabled by cutting a trace on the PCB, to leave space for the 4 colors 🙂 Finally, using a switch accessible from the side of the computer, makes these modifications fully reversible. Going over the Morava river, at that time, the Czechs also produced their own 8-bit “school” computer, the IQ-151 by ZPA, in Nový Bor. And that thing was just horrendous – it had been plagued with constant manufacturing defects, serious overheating problems, had only 32 kilobytes of RAM and did not initially support any graphics – at all. And, as it usually is with the other 8-bit machines in general, the PMD 85 has also its small, but loyal, cult following. The Bórik brothers have, for instance, come up with a full-fledged emulator of the whole series, both for Windows and Linux, and also with hardware mods that allow the machine to be expanded to 256 kB of RAM, or to introduce a PS/2 keyboard, add in chip-tune capabilities, or better color output, you name it. There were even new games written for that thing in 2018, including a ZX Spectrum ROM port!